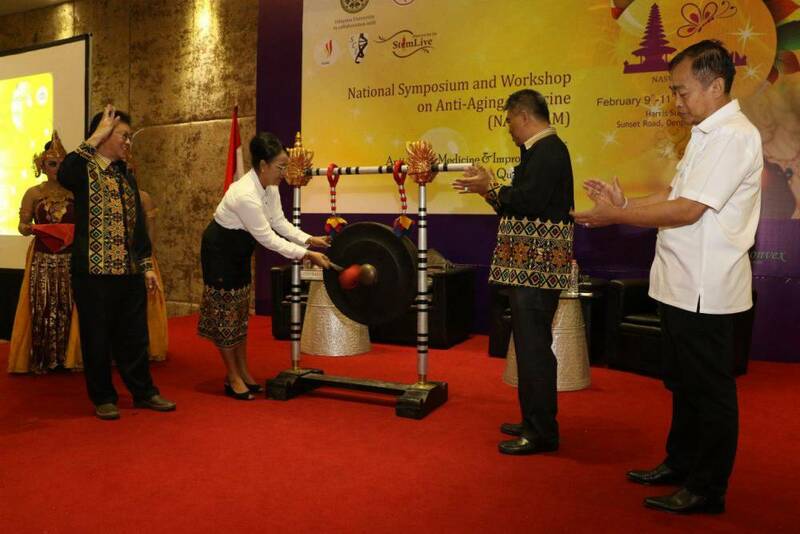 Badung - Udayana University in cooperation with IDI, INCAAM, SCI and StemLive held National Symposium and Workshop on Anti-Aging Medicine (NASWAAM) on Friday (9/2/2018) at Harris Hotel Sunset Road. The event that took the theme of "Anti-Aging Medicine & Improvement in The Quality of Life" followed by about 425 participants from 53 cities in Indonesia. In Symposium also present speakers from Taiwan, including Prof. Thai-Yen Ling from National Taiwan University, Prof. Rita Huang from Taipei Medical University; Tom Kuo from StemLive Taiwan. Prof. Wimpie Pangkahila as Chairman of the Committee said that now more and more doctors are interested to learn Anti-Aging Medicine. Every year enthusiasts of Post-Graduate Program Anti-Aging also increased. Further Prof. Wimpie conveyed this activity is intended to provide information about Anti-Aging Medicine. In this activity also introduced a new program that is Idol of Anti-Aging Medicine which later served to spread Anti-Aging Medicine to all people in order to feel the benefits in the form of improved body quality. Through Symposium is expected to increase knowledge about Anti-Aging Medicine for doctors. Prof. Wimpie also expressed his appreciation to the Rector and Dean of the Faculty of Medicine who always support the development of Anti-Aging Medicine Study Program. Rector of Unud, Prof. Dr. dr. A A. Raka Sudewi, Sp.S (K) in his speech expressed his pride that Udayana University is able to organize the Graduate Program in Anti-Aging Medicine specialty listed as the first in the world, not just in Indonesia or Asia. For that reason, the name of Unud has been recorded as the holder of World Record from MURI (Museum Rekor Dunia Indonesia) and also got the certificate of award from American Academy of Anti-Aging Medicine. By developing the Program that became one of the flagship, Unud has presented something important for the improvement of the quality of life that is indispensable for the development of the nation and state.